Forget the Trackhawk. This is the Hellhawk. 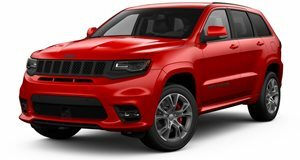 Not to be confused with the recently unveiled Jeep Grand Cherokee Trackhawk, this 707-horsepower, Hellcat-powered Grand Cherokee is dubbed the Hellhawk (a far better name in our humble opinion) and recently ripped up the quarter mile strip at the Maple Grove Raceway in Pennsylvania. 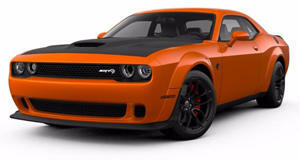 The SRT8 is no slouch in its own right, but once it gets the Hellcat engine it becomes a completely different animal. Watching this thing in action makes us think the Trackhawk has been toned down. This brief video of the Hellhawk terrorizing the track reveals that what you’re looking at is an SUV that can run the quarter mile in the tens. 10.8 seconds at 128 mph to be exact. Jeep claims that the Trackhawk is capable of a 11.6-second quarter-mile, so the Hellhawk is almost a second quicker and on par with the likes of supercar royalty such as the Nissan GT-R and Ferrari 458 Speciale. Buyers of Jeep's hi-po SUV may want to consider taking their ride to a tuning house as there's a chance there's plenty of latent performance waiting to be unleashed.